Helm México is a company dedicated to the import and distribution of raw materials for the pharmaceutical industry. 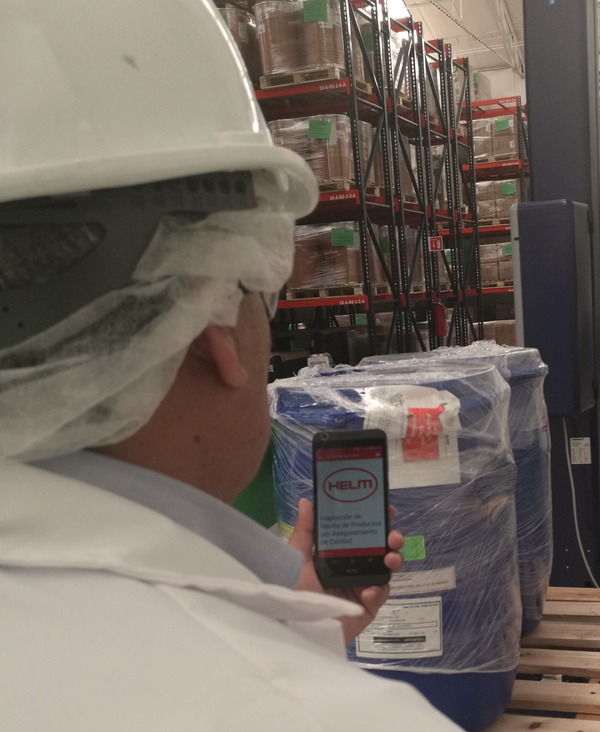 Helm saves $252,000 yearly by working with digital inventory control. Helm de México, S.A., was founded in 1996 in Mexico City. The German-owned company is part of an international organisation with over 100 offices in more than 30 different countries. The company is specialised in the import and distribution of raw materials to pharmaceutical, food, livestock feed, industrial chemical and agrochemical industries. Helm de México currently uses two types of digital forms. Namely, one to record the products that are delivered to a warehouse and one for the distribution of these products. MoreApp helps Helm with making these forms more dynamic by offering integration possibilities, rules, photo attachments and barcode scanning. Before MoreApp, everything was done by hand and with paper forms and this resulted in many errors and was very time-consuming. Helm de Mexico is thinking about implementing MoreApp for other processes such as: Audits, equipment inspections and lease cars. Innovative tools such as MoreApp have played an important role in the process optimisation of Helm de México. Due to the ease and effectiveness of these new technologies, they are kept in mind for further modernisation of processes. Helm de México has reduced the time spent to fill in a form from 1 hour to only 15 minutes and the captured data is instantly available for Quality Assurance. Helm estimated that it saves more than $250,000 on a yearly basis, based on costs for App development, hosting, and labour hours.